Whether you want to get the bass pumping at your sweet sixteenth or have a romantic first dance at your wedding, we have the right DJ for you. Dash Events provides a range of DJ’s for hire throughout Melbourne, with varying levels of experience. Our resident disc jockey, DJ Dash has been at the turntable for the past nine years and is an expert at mixing tunes. 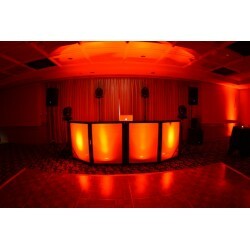 He is also the Head of Operations of our company in Cranbourne and knows just what it takes to get your party pumping.